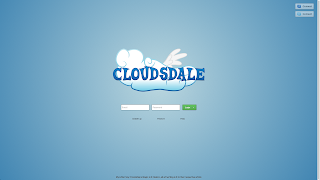 Cloudsdale is a fresh, original take on the social network, and amazing despite still being in open beta. A lot of work has been put into this site, and it shows. It's incredibly easy to use, has an amazing interface, runs fast and makes good use of all the latest web technologies, such as HTML5 and CSS3. 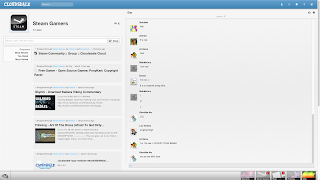 Not to mention that it isn't just another Facebook clone either. Even from the login screen, it's clear that this is an amazing social network. Even as I type this, the site is being actively developed. The site's sole developer, Zeeraw is constantly adding new features (app integration is planned), fixing bugs and polishing the overall experience. To be honest, in all my days of social networking I've never seen anything like this. While it still has a couple of issues to be worked out, I believe that someday it will become the king of My Little Pony social networking. And that day will probably come soon. Very soon. 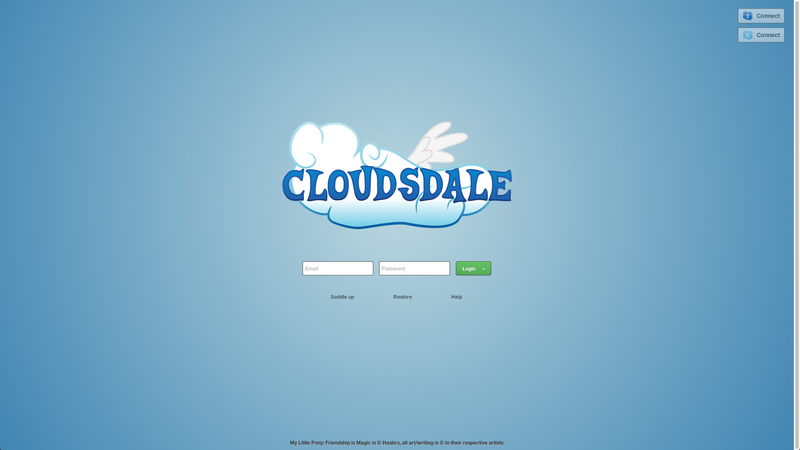 Cloudsdale's interface is simple, yet robust. 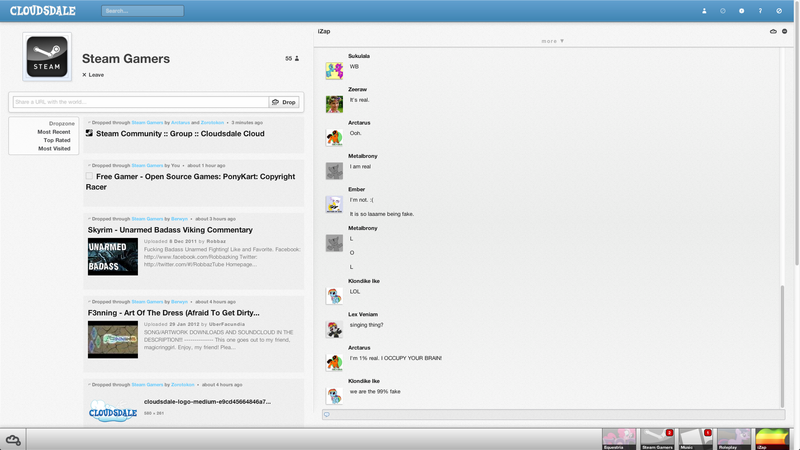 I must say that this is probably already the best MLP social network out there. If you haven't signed up for it yet, I highly recommend doing it. You will never, ever regret it. Trust me. You can also sign up with your Facebook or Twitter account, which is a huge benefit for those who use those services.